The ultimate disc brake specific, aerodynamic, and lightweight road race rim. The SES 5.6 Disc is optimized aerodynamically and structurally for disc use. Road cyclists and triathletes on disc brake bikes will benefit from the SES 5.6 Disc's reduced drag, lightweight design, and rim shape optimized for larger volume road tires. Most "disc brake" wheelsets are simply repurposed rim brake wheels with disc hubs. The elimination of a braking surface opens up the realm of aerodynamic and structural possibilities. When you don't have to engineer a flat braking surface and manage high temperatures from braking, you can reduce the rim's weight, adjust shape for improved aerodynamics and provide better tubeless performance. Disc brake technology offers improved braking performance for amateur and professional road cyclists alike. Carbon fiber braking surfaces are a major design constraint that limits weight savings and rim design. By removing the constraints of a braking surface, we can completely rethink the shape of the rim. 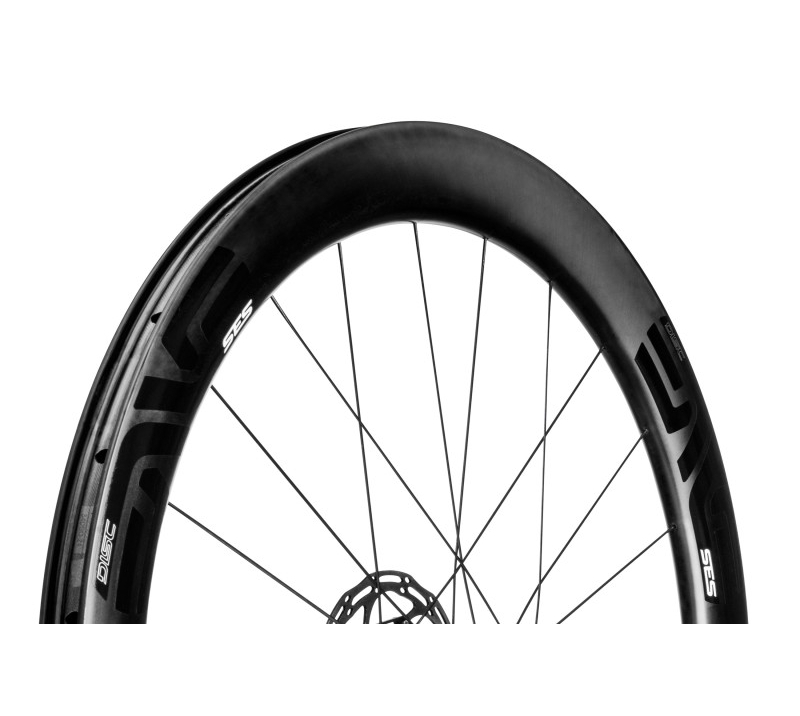 The SES 5.6 Disc features patented SES rim curvature but has been further optimized for disc brakes. Additionally, the SES 5.6 Disc carbon fiber clinchers and tubulars are very lightweight because the material used for heat management can been eliminated. This allows for a more structurally efficient and impact resistant rim. Finally, the SES 5.6 Disc carbon clincher is road tubeless compatible and can still be run with standard inner tubes and tires. Like the current generation SES carbon clinchers and tubulars, the 5.6 Disc has been aerodynamically optimized around 25mm tires. As light as a titanium spoke. The CX-Ray still receives the best results in fatigue testing of any spoke. Its unique strength and flexibility make the CX-Ray suitable for most bicycle disciplines. The middle section of the spoke is drawn then pressed in a special mould to form its specific profile. CX-Ray spokes are used by top bike racers and triathletes around the world.